Unapologetically feminine, the Seksy by Sekonda watches in this range deliver the utmost elegance whilst remaining dutifully practical. A Seksy watch is a symbol of class and an absolute essential addition to any watch collection. 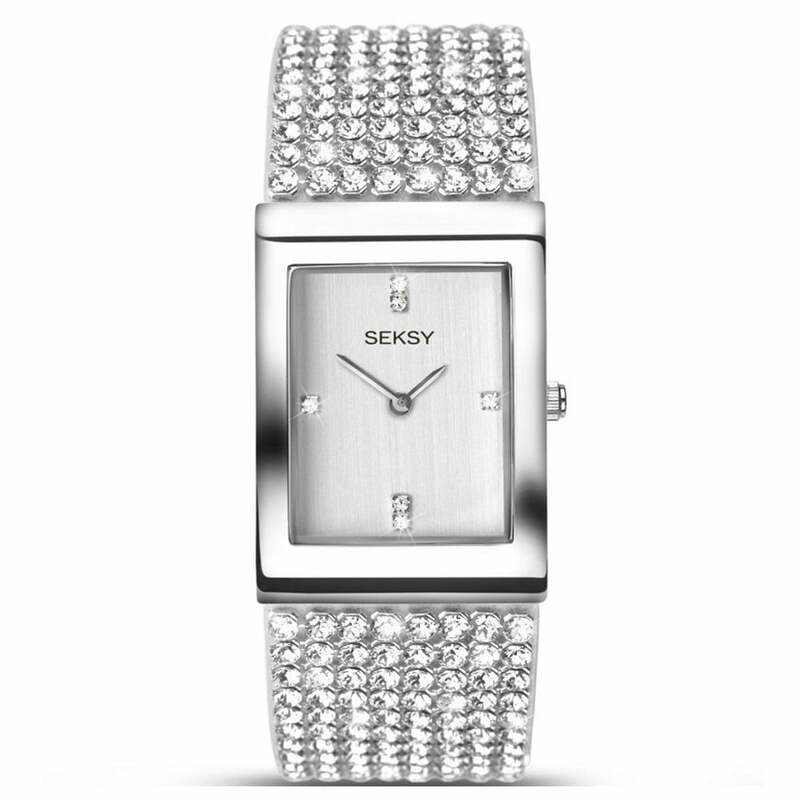 Whether you seek a classic leather strap watch or a beautiful gold plate watch with diamond embellishments, you’re bound to discover the Seksy watch for you. Combine timekeeping with a fashion accessory for something you can enjoy wearing every day. The full Sekonda Watch collection at Hillier Jewellers offers some wonderful watch options for men and women, and all come encased in an official Sekonda presentation box, making them ideal gifts! For something different, we suggest taking the time to browse our complete collection of stylish watches for men, women and children here at Hillier Jewellers where you will find even more appealing watch styles to suit all tastes. From Sekonda Editions to the original Sekonda watches range, you're bound to find the perfect timepiece. Place an order with us today and receive 10% off your first purchase, plus free UK delivery on all orders over £30.